In the first of a new series of the award winning science/comedy series, Brian Cox and Robin Ince are joined on stage by comedian Katy Brand, biochemist Nick Lane and forensic anthropologist Sue Black to discuss why death is such an inevitable feature of a living planet. As well as revisiting such weighty scientific issues, such as when can a strawberry, be truly declared to be dead, they’ll also explore the scientific process of death, its evolutionary purpose and whether it is scientifically possibly to avoid it all together. 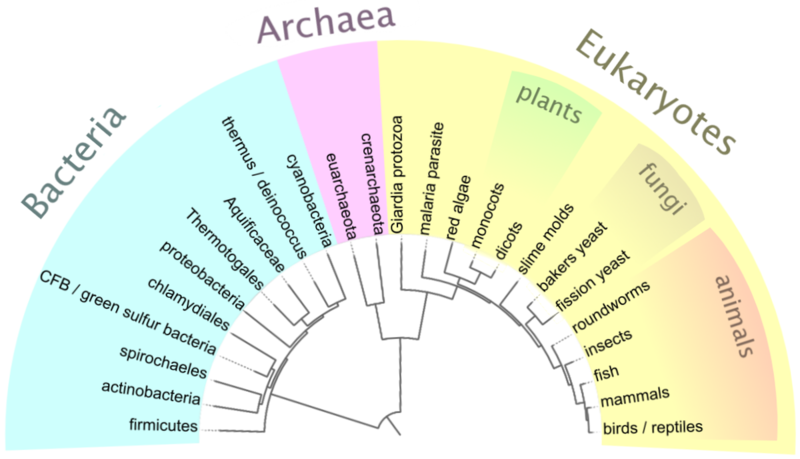 A fascinating discussion regarding when a cell can be truly considered “dead” though I couldn’t quite agree that death was necessary to evolution. Only birth is of course. It would be pretty crowded without death but life – or death – after procreation no longer has any part to play in the passing on of genes to the next generation or on evolution. With immortality there would, of course, be no need for procreation or for any future generations. But if immortal beings did beget other immortal beings then an Infinite Universe would come in very handy. However, the fertility rate needed for replenishment of the mortal members of a species is unconnected to the longevity of the individuals and I cannot see that death, per se, has any impact on evolution. 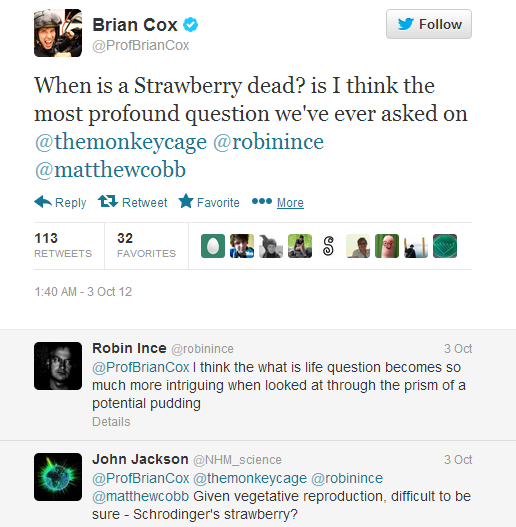 As far as the life and death of a strawberry are concerned it seemed to me that the question was essentially meaningless. You could as well ask if your finger could be alive when it no longer was connected to your body. A finger -like a strawberry is never truly alive unless connected to the body that it is a part of and the question of life or death when it is separated from its host body is moot. Self-replicating fingers – or strawberries – would make John Wyndham’s Triffids seem benign. Posted in Aging, Evolution, Philosophy | Comments Off on When is a strawberry dead?